Siglo has the tendency to take itself too seriously, but all is forgiven for the tranquility to be found on the leafy terrace. Perched above Spring Street, the view of Parliament House glittering as the sun sets is a glorious setting for some discerning bottles of wine. If you're lucky enough to acquire the wooden bench-shaped booths on the balcony, the view is uninterrupted and table service is on hand. Entry is to be found by the back steps of The European. 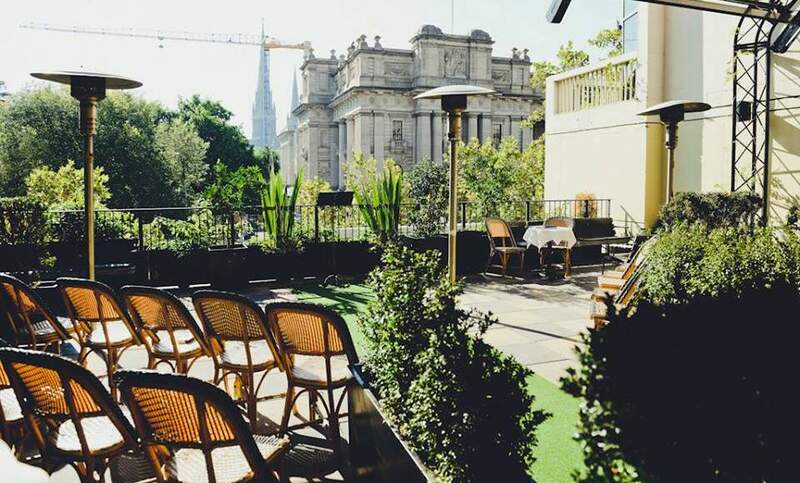 Check out our full list of the ten best rooftop bars in Melbourne.